Did you know that HUD offers homes that certain buyers get a 50% discount on? Yes they absolutely do and in my opinion those homes can be the best buys on the market. It's called the HUD Good Neighbor Next Door Program. 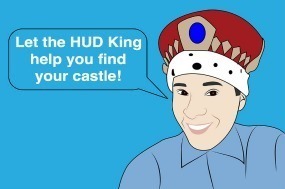 HUD does have some rules that will determine if you qualify or not, so contact me if you have any questions. These are the most common things that you need to know. You must be full time employed as a teacher, EMT, firefighter or Police Officer/Law Enforcement. You must service the immediate area where the home is located, except of you are in law enforcement. Law enforcement can buy a home no matter where it is located. Teachers must teach where the occupants of that home would attend school and firefighters and EMT's must service the direct area of the home. You cannot own a home or have owned a home for the prior 12 months prior to when you make an offer on these homes. You must occupy this home for at least 3 years in order to have the 50% discount forgiven and you must verify that you are occupying the home annually. These homes are very time sensitive so if you are a "GNND" buyer or you know someone that is, please have them contact me as soon as possible.